A project that I’ve undertaken to document the smaller things in life that yield a small shot of happiness in this weird wide world. Here’s an interesting thought that I’ve had for a few days now. What better day than Flashback Friday to start off with a new theme for my blog? #ThirtyTrinkets is a portal to my small and select world of earrings or accessories. I shall post a picture a day, and in the process, wear something new every day, and possibly share a memory or incident associated with it. Usually, everything you own has a story, you only need to look at it and remember it. What better way to start off a commitment than with a pair of classics. The silver rings never go out of style and this one usually always reminds me of mom. 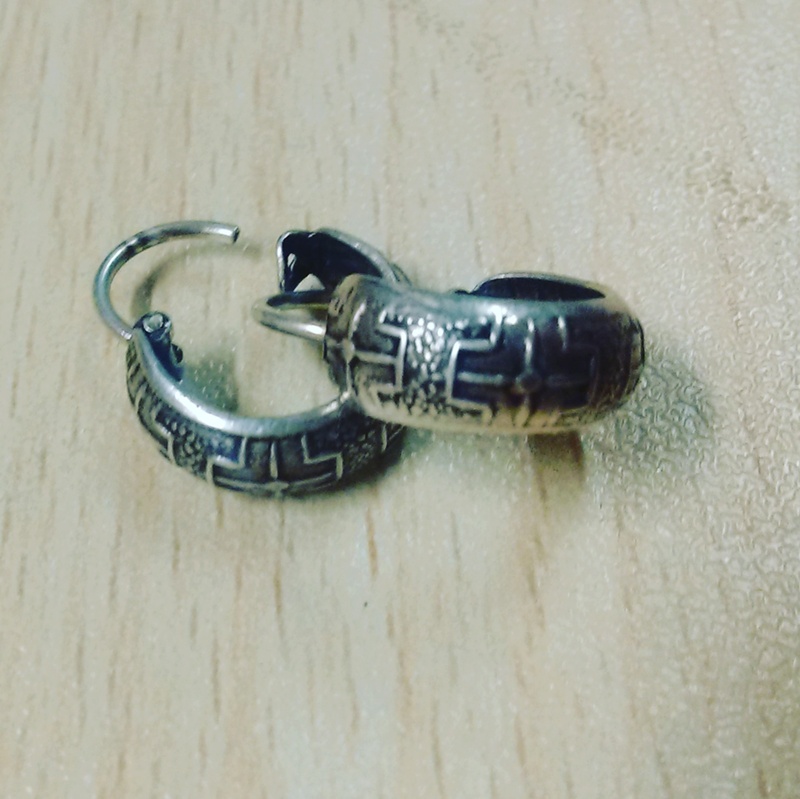 She knows my love for silver artefacts and despite having lost a pair that was very similar to the one in the picture, she bought me these beauties a while ago. Let’s see what the mood calls for tomo!